Looking for ways to drive more traffic and bring in more ad revenue? Look no further than Answers.com for inspiration. Answers.com is a large Q&A community that was created back in 1999. Originally called “GuruNet”, the company went public in 2004 and later changed their name to Answers.com. 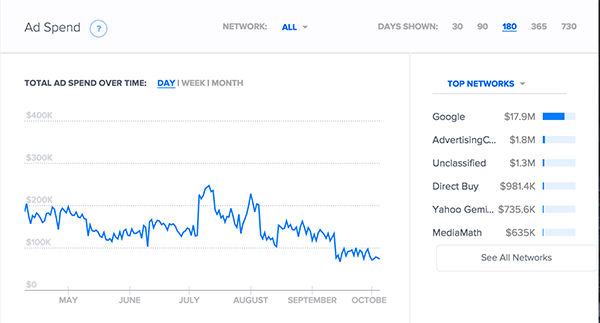 Although they’ve been around for close to two decades, much of their recent growth has been fueled by content promotion through Native Ad networks. Answers.com is one of the largest spenders across all Native Ad networks. Their strategy is one that any advertiser or publisher should look at if they want to see better success with Native Advertising. As an advertiser — how they use Native Ad networks like Outbrain and Taboola to drive traffic to their content and increase their audience size. 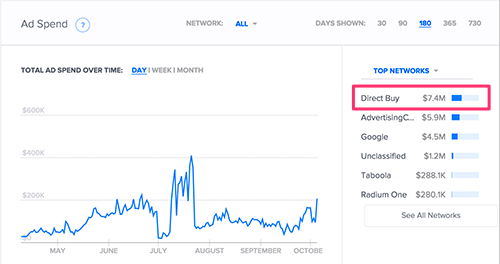 As a publisher — how they use Google Adsense and other ad networks to monetize traffic seeded from Native Ad networks. It seems that Native Ad networks are the way to go for content promotion, as most large publishers prefer Native Ad networks for driving traffic than traditional banner ad networks like Google Display, Bing or Advertising.com. 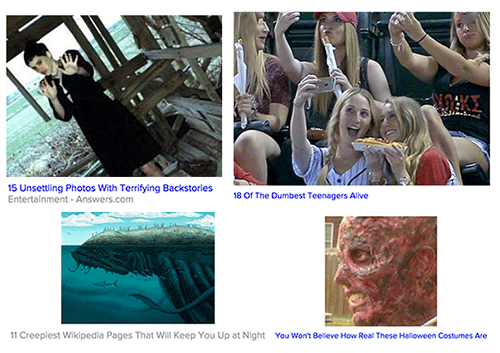 Outbrain and Taboola continue to be the chosen networks for many native advertisers. However, newer players in the Native Ad space — like rev:content, Gravity and ContentAd — continue to bite off a larger piece of the pie. 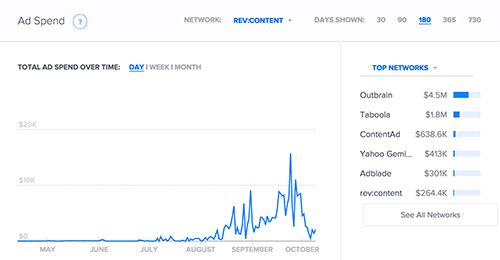 You’ll see that Answers.com has significantly scaled their spend on rev:content within the past two quarters. I highly suggest you test out some of these other Native networks if you haven’t. 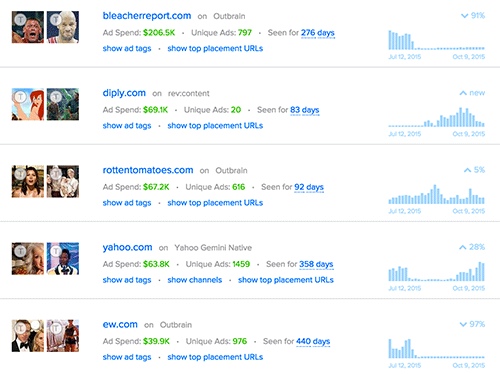 Side note*: Adbeat has competitive data for 10 Native Ad ad networks: Outbrain, Taboola, rev:content, Gravity, mgid, Yahoo Gemini, Disqus, Nativo, ContentAd and nRelate. Answers.com is known primarily as a crowdsourced Q&A site. However, they do not use Q&A pages to drive traffic. Instead they advertise pages about celebrities, athletes and viral themes (“You won’t believe these 20 crazy wedding pictures”). Simple: this content gets clicks. We live in an entertainment based society obsessed with celebrity gossip, and fun, viral articles. 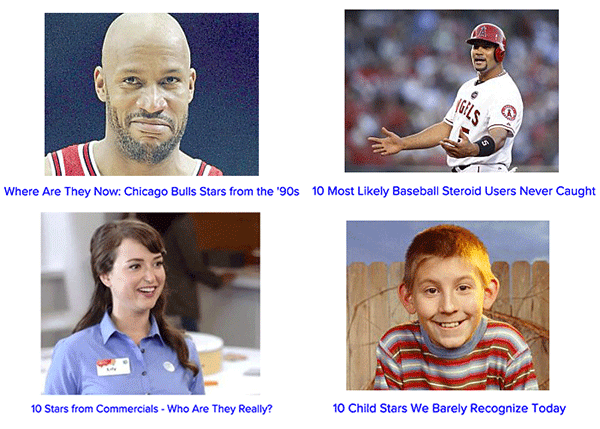 Answers.com (and most other large publishers) use celebrity or viral content to get large amounts of cheap clicks. 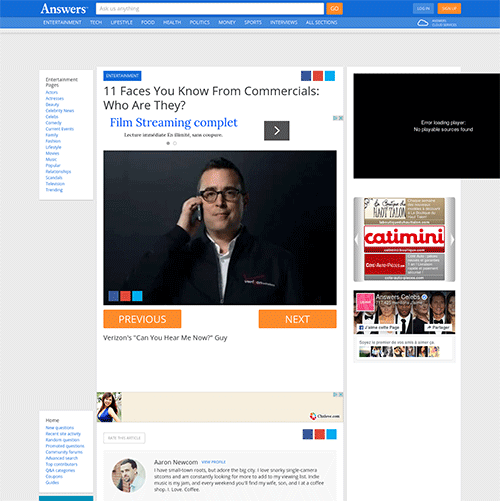 Notice that Answers.com has started advertising viral content. Does this mean that viral content works better at getting clicks than celebrity? But advertisers and publishers need to constantly keep on the pulse of the ever changing Native content landscape. The best way to do that is to monitor what kinds of content large sites like Answers.com promote. It appears that Answers.com has started moving away from publishers on Outbrain, and started scaling on Yahoo Gemini and rev:content. This is probably why they’ve begun advertising more viral content. 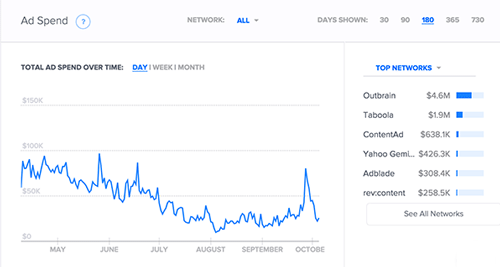 Ad networks like rev:content seem to have more viral content publishers than Outbrain or Taboola. Answers.com uses slideshow pages. This means the user must go to multiple pages to see all parts of the article. This boosts page interaction, page views and increases the likelihood that the visitor will click on an ad or read another piece of content. The slideshow landing page has become standard for most publishers. Speaking of ad revenue, let’s take a look at Answers.com from the Publisher side. What networks, advertisers, placements and specific ad creatives bring in the most revenue? As far as this author knows, Answers.com makes the majority of its revenue through selling advertising. The sole purpose of advertising their content through native ad networks is to build up a larger audience and make money through ad arbitrage. Find out in the next section as we analyze the other side of the coin: Answers.com as a publisher. 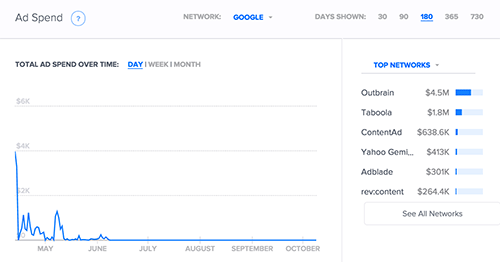 Adbeat estimates that Answers.com has made $26,200,064 in ad revenue from 32,162,423 unique visits in the past 180 days. Notice that Answers.com does not make as much money through Direct Buys (buying inventory directly from a site) compared to as much as they make from 3rd party networks. They are potentially missing out on large slices of traffic at higher CPMs from brands and big advertisers. We’ll talk about that in the next section. The sites who advertise on Answers.com are mostly large brands or mass market direct response advertisers (e.g. weight loss supplements and programs). Mass market and large brands are good prospects for large news/viral content publishers. Viral sites tend to have a wider demographic (if they do not specifically cater to one single niche, e.g. 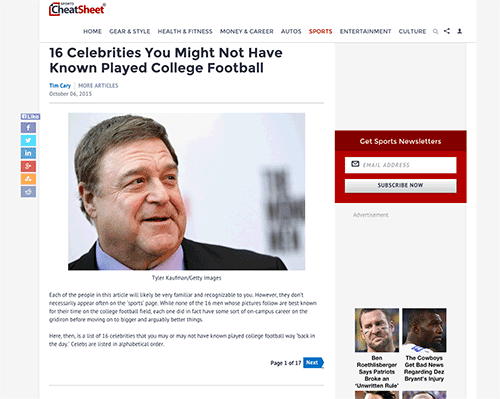 celebrity gossip), and big brands and mass market advertisers like broad audiences. However, as mentioned earlier, these advertisers come in through 3rd party networks. There is a potential for Answers.com to make even more ad revenue. How Can Answers.com Increase Ad Revenue? 1. Sign advertisers who buy remnant inventory to direct deals. 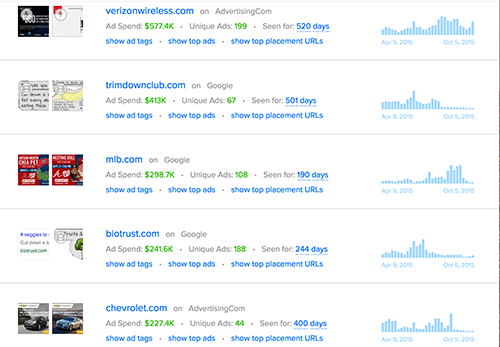 For example, Verizon Wireless has bought ~$500k of Answers.com inventory through Advertising.com over the past 6 months. Large brands like Verizon are often interested in buying inventory directly. Direct Buys give them more impressions. Big brands are usually less concerned with performance and usually want as many impressions as possible. Notice that Verizon has spent approximately $7.4MM on Direct Buys in the past 180 days. This means that Verizon will likely be open to signing a direct deal with Answers.com. Answers.com’s sales team can now go after Verizon with confidence, since they already know they directly buy inventory from similar publishers. 2. 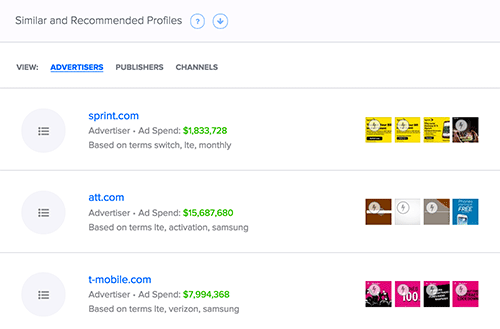 Hunt for other advertisers similar to the highest spenders. Verizon’s presence on Answers.com is proof that traffic from Answers.com can work for wireless companies. Answers.com could go after other companies in this industry and use Verizon as a case study. Signing any one of these large brands to a direct advertising deal would substantially increase ad revenue. There are a million and one ways a publisher can increase ad revenue. The best strategy is often the strategy that’s worked for someone else. Answers.com’s robust native advertising strategy is something that any business can ethically copy and use to boost their own revenue streams. All the pieces of the puzzle are there. It’s up to you to put them together. Have you tried native advertising? What have your results been like? Thanks for this article.how they can use celebrity photos without getting in trouble. Super awesome post here, really great! Thanks for such fantastic, fine content, you rock!! One thing am upbeat is the fact they were able to $25M+ in 180 days and still there is a way of doing it better. Very information, cudos! I think native ad is the next best thing in the content marketing. It is a profitable business model if one can do it properly.